Falafel's are one of my favourite lunch time foods - they're so delicious, really fill you up, are packed full of protein and are so versatile to. You can get some amazing shop-bought falafels, but many of them contain unhealthy oils and preservatives, so I really like to make my own so I know exactly what's going into them and they're completely natural. 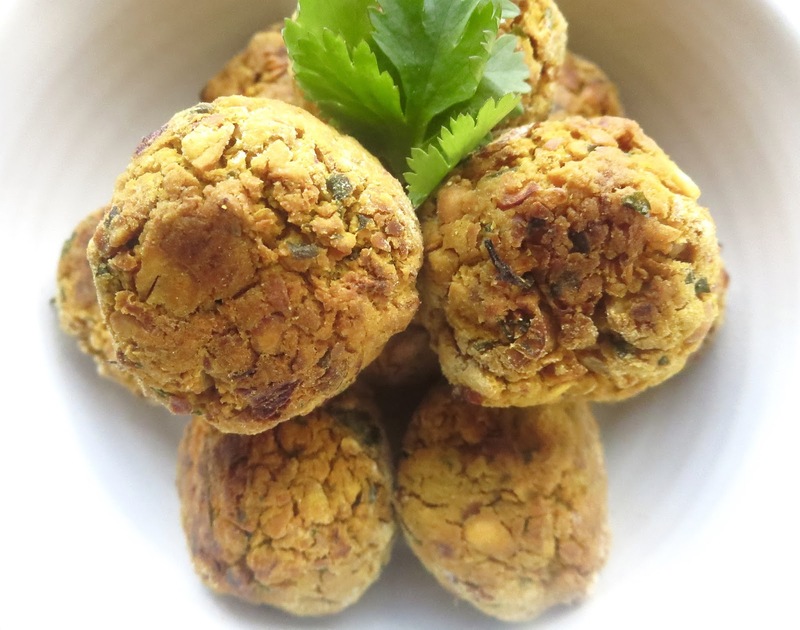 I made these turmeric spiced baked falafels the other day and they were so dreamy I just had to share the recipe with all of you! 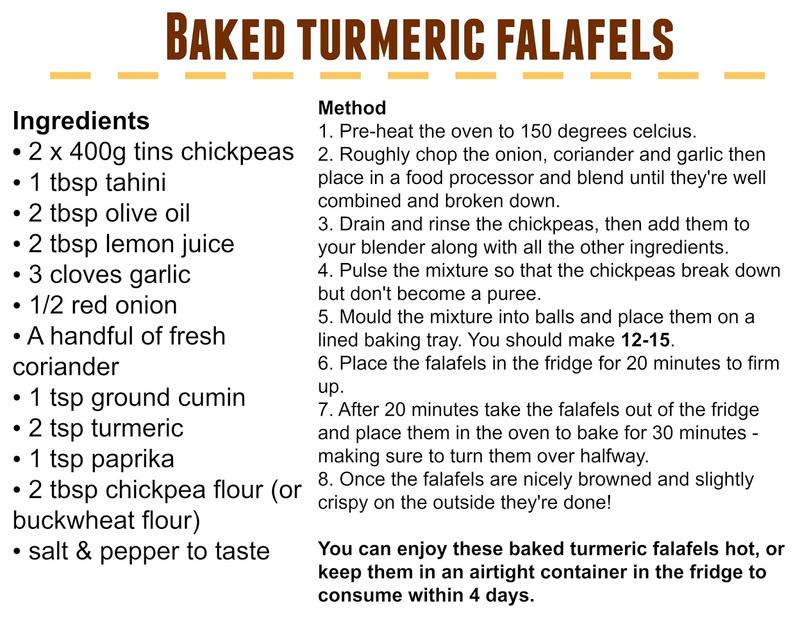 I've got quite an obsession with turmeric, and I put it in everything from curry to porridge, so when I decided to make falafels I knew I wanted turmeric to be the main flavour in them. The turmeric works just as well as I knew it would in this recipe, and it really helps add to the warm, comforting, middle eastern flavour. The other flavours that come through are coriander, lemon and cumin which are the most heavenly combination! As well as being utterly delicious they're bursting with nutritional goodness! The main ingredient is chickpeas which are a brilliant source of plant protein and fibre that'll help you stay fuller for longer, balance out your blood sugar levels and promote a healthy body. They're also high in calcium, iron and magnesium. The falafels also contain a wealth of anti-oxident power and happiness boosting properties that are bound to get you feeling your best! 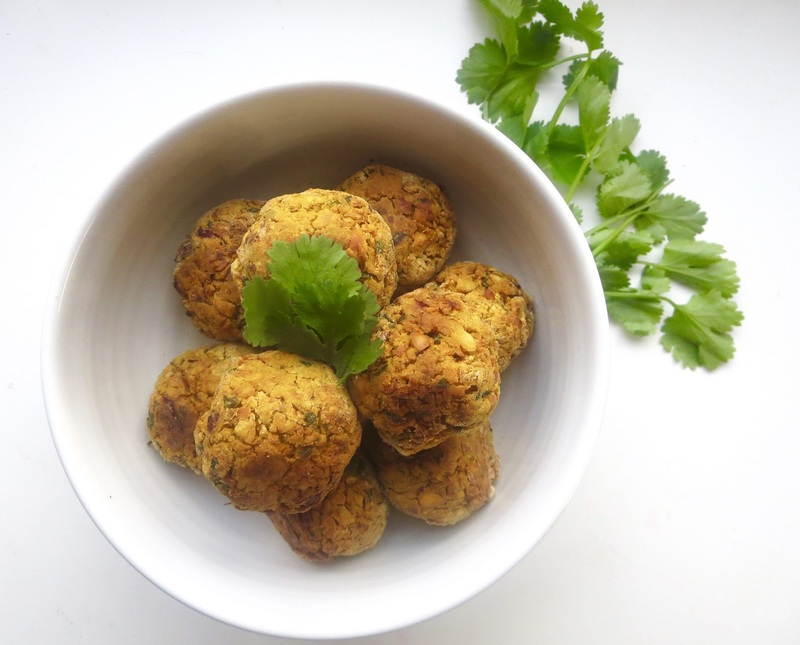 These falafels are yummy on top of a salad with lots of hummus, in a wrap with salsa and avocado or even on their own as tasty, healthy snack.